To Reach The Nations with The Saving Knowledge of Jesus Christ through The Word of God; Evangelism, Holy Spirit Training Meetings, Prayer & Intercession, Church Renewal, and Understanding Charismatic Gifts. 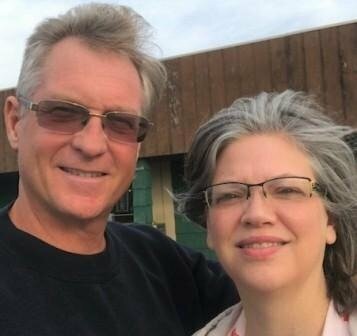 Stan Jackowski Ministries believes in preaching and teaching the Word of God through faith, being directed by the anointing of the Holy Spirit, doing the works of Jesus throughout the four corners of the world. Revealing hidden mysteries and revelations of God’s Word that have been reserved in the “secret place” for the believer today. Stan Jackowski Ministries reaches all levels of spiritual growth beginning at salvation, equipping the believer in authority of God’s Word, and imparting to them spiritual weapons for victory in this life. Finally, demonstrating and releasing the gifts of the Holy Spirit, so they too can reach a lost and suffering humanity. Stan Jackowski Ministries desire that all people be healed and liberated in the five spectrum’s of life, spirit, soul, body, financial, and social, so they become a witness and fulfill the calling upon their lives for Jesus Christ in these last days. Stan Jackowski Ministries believes the five fold-ministry working together are the “Master’s Keys” ~ The Ascension Gifts; Apostles, Prophets, Evangelists, Pastors, and teachers in training and releasing the church to come into the divine potential God has ordained in the last days. The church learning vital truths becoming disciples of Jesus Christ and taking the message of the saving knowledge of Jesus Christ to a lost and dying world. This is done through all accessible avenues such as the local church, special meetings, crusades, cd’s, dvd’s, mp3, books, internet, radio, and television.